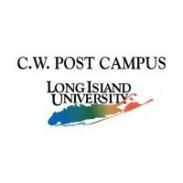 "About 8,000 traditional and non-traditional students are enrolled at Long Island's C. W. Post campus in Greenvale. C. W. Post offers a vast array of liberal arts and pre-professional programs. There are interesting non-credit courses here in areas like "art & antique appraisal" and "Internet studies." What is a typical LIU Post student like? Describe the type of person that should attend LIU Post. A typical LIU Student is usually well-maintained and looking for a good education, dedicated to their major. What are the top 3 reasons someone should attend LIU Post? The campus at LIU Post is beautiful, the people and staff that work there are very nice and the teachers work with you to give you educational benefits. What was a typical LIU Post student like in high school? Describe the type of person that should attend LIU Post. LIU Post is one of the most beautiful, historic and scholarly settings in the country. Our 307-acre campus is located on the north shore of Long Island, in the Village of Brookville, which is ranked among the most desirable communities in America. The Campus is just 50 minutes from the corporate and entertainment capital of the world, New York City. LIU Post offers more than 260 bachelor's, master's and doctoral programs to 8,700 students from every part of the world. Our academic programs carry elite accreditations, signifying they meet the highest standards of quality. What are the top 3 things that students do for fun at LIU Post? Hang out in the Common Area, relax on the large lawn located in the middle of the campus or enjoy a walk around the large campus that we have. A program that prepares individuals to apply the principles of dietetics and the biomedical and nutrition sciences to design and manage effective nutrition programs as part of clinical treatment and therapy programs, and to manage health care facility food services. Includes instruction in human nutrition, nutrient metabolism, the role of foods and nutrition in health promotion and disease prevention, nutrition as a treatment regime, planning and directing hospital food service programs, diet and nutrition analysis and planning, supervision of food storage and preparation, special diets, client education, and professional standards and regulations. The average student pays $25,111 for tuition, fees, and other expenses, after grants and scholarships. Total stated tuition is $32,370, in-state and on-campus, before financial aid. Learn more about financial aid at http://www.liu.edu/cwpost/financial-assistance.aspx. Estimate the net price for you at http://www.liu.edu/cwpost/financial-assistance/basics/calculator.aspx. 39% of students graduated in six years. The typical (median) early career salary of LIU Post graduates is $46,600, according to Payscale. LIU Post participates in the NCAA Division II for college athletics. Want more info about LIU Post? Get free advice from education experts and Noodle community members.